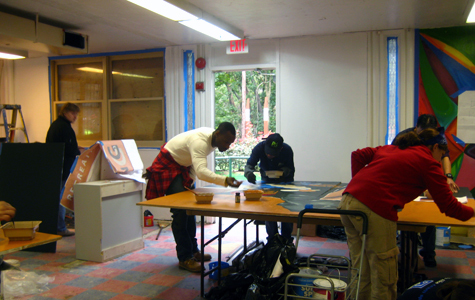 After months of planning, the District of Columbia Building Industry Association (DCBIA) hosted their 19th Annual Community Improvement Day on October 1st at the Marvin Gaye Recreation Center in Northeast DC. Cunningham | Quill’s Heather Daley, AIA, LEED-AP, was one of this year’s Co-Chairs for the event, along with Steve Hawryluk of James G. Davis Construction Corporation. The focal point of the interior renovation to the rec center is a mural of Marvin Gaye. 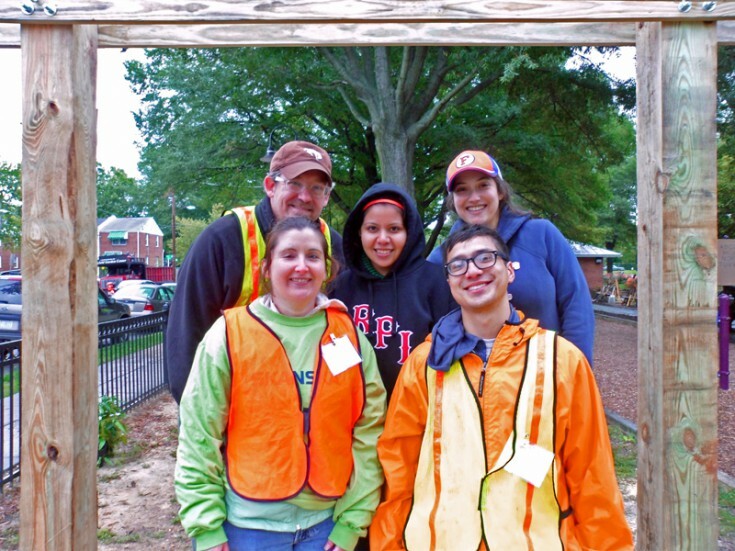 Over 500 volunteers gave their time on Saturday to help the community of Capitol Heights improve their park. Projects included a complete interior renovation to the recreation center, cleaning the entire site, upgrading the baseball and sports fields by adding terraced seating, creating outdoor classrooms and shade pavilions, and unifying the landscape with new plantings and a paved pathway. 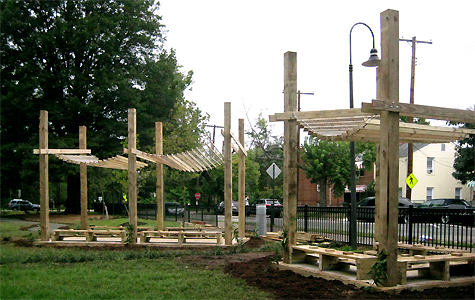 Outdoor pavilions serve as classrooms for the many summer programs at the rec center. 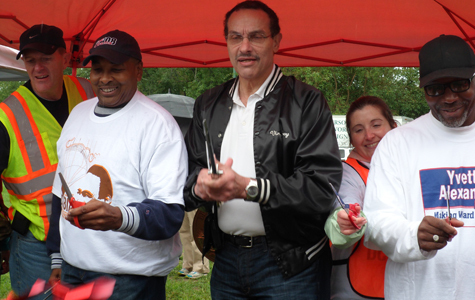 DC Mayor Vincent Gray was on hand to commemorate the project by cutting the ceremonial ribbon during the mid-day break. The Mayor was joined by Merrick Malone, President of DCBIA; Amin Muslim, Director of Constituent Services from Ward 7 Council Member Yvette Alexander’s office; Gary Ball, Co-Chair of the DCBIA Community Services Committee, a representative from the DC Department of Parks and Recreation; and the Co-Chairs for the Event, Heather Daley and Steve Hawryluk. The ribbon cutting. L-R: Gary Ball, Merrick Malone, Mayor Vincent Gray, Heather Daley, Amin Muslim. Cunningham | Quill Architects has been proud to be involved with DCBIA’s Community Improvement Day for the last seven years.